Edupoint Educational Systems, creator of the industry-leading Synergy Education Platform for K-12 student information and learning management, has partnered with Certica Solutions to offer the Navigate Item Bank to client districts using Edupoint's Synergy Assessment solution. The optional Navigate Item Bank can be accessed within the Synergy Assessment interface. 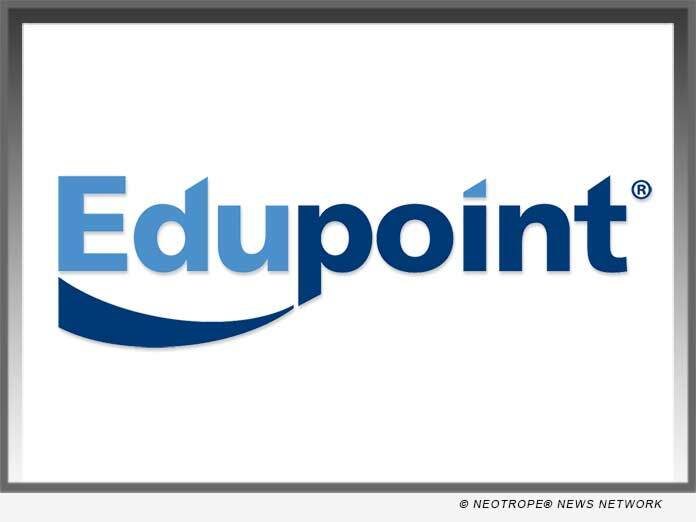 (MESA, Ariz.) -- NEWS: Edupoint(R) Educational Systems, creator of the industry-leading Synergy(R) Education Platform for K-12 student information and learning management, has partnered with Certica Solutions to offer the Navigate Item Bank(TM) to client districts using Edupoint's Synergy Assessment solution. The optional Navigate Item Bank can be accessed within the Synergy Assessment interface, enabling educators to quickly and easily create and administer formative assessments to measure student progress against standards and inform classroom instruction. The addition of the Navigate Item Bank expands Edupoint's item bank offerings, providing partner districts with a choice of integrated solutions. The Navigate Item Bank provides Synergy Assessment users with more than 90,000 expertly-developed, standards-aligned items in English Language Arts, math, science, and social studies. Assessment authors can tailor each assessment to specific classroom needs, selecting test questions that closely reflect instructional goals. Assessments are accessed by students through the Synergy StudentVUE(R) portal using a computer or mobile device, and teachers can use Navigate's rich metadata for detailed analysis of student learning to target instruction to students' individual needs. "Certica's Navigate Item Bank works seamlessly with Synergy Assessment not only to simplify the assessment process for educators using the widest possible range of learning standards, but also to positively impact classroom instruction and student achievement," said Mark Rankovic, President and CEO at Certica Solutions. The Navigate Item Bank includes items aligned to learning standards for all 50 states and Washington D.C., as well as the Common Core State Standards and the Next Generation Science Standards. More than 19,000 Spanish-translated items and nearly 400 Spanish-translated reading passages support English language learners. Navigate also includes Progress Checks, which are short, pre-built assessments that enable educators to quickly measure student performance against a specific standard or set of standards. "Edupoint is pleased to offer the Navigate Item Bank to our partner districts using Synergy Assessment," said Bob Weathers, Founder and CEO of Edupoint. "Navigate adds the convenience of ready-to-use, high-quality items and extensive standards alignment to the powerful centralized assessment management and analysis tools that Synergy Assessment provides. Together, these solutions empower teachers with easy-to-use, time-saving tools to positively impact student outcomes." For over thirty years, the leadership of Edupoint Educational Systems has provided well-designed, technologically-advanced student data management systems that empower all K-12 stakeholders with the tools they need to improve student achievement. The fully-integrated Synergy(R) Education Platform includes Synergy(R) SIS, the most powerful K-12 student information system available today, Synergy(R) LMS, an all-in-one learning and assessment platform, and Synergy(R) SE, a comprehensive special education data management system. Thousands of schools nationwide choose the Synergy Education Platform to support more than 3.75 million students. Learn more: http://www.edupoint.com/. Certica is the innovator of the Certica Connect platform which provides application interoperability and centralized integration, as well as access and enrichment of education data, metadata and content. The company partners with a diverse network of K-12 application and system vendors, learning content and assessment providers, and book distributors and publishers. Certica also delivers solutions directly to more than 500 school districts and numerous charter school organizations, state education agencies and educational service agencies. Certica is based in Wakefield, Massachusetts and has offices in Harvard, Massachusetts; Cincinnati, Ohio; and Austin, Texas. For more information, visit https://certicasolutions.com/.